Now that the nice weather is upon us it is all about the BBQ's, Parties, and festivities! Whether you are throwing the party or attending one, here are 3 summer cocktails that are easy to make and sure to be a hit! Optional-Rim two glasses with water and dip edges into pink Himalayan salt. Set aside. 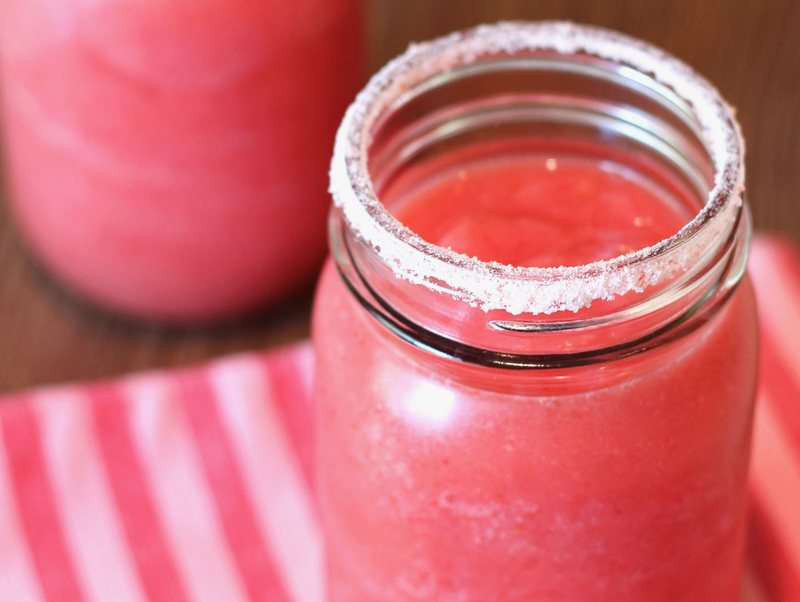 In blender, combine ice, frozen strawberries, margarita mix, coconut milk, and honey. Blend on high until smooth. Pour into prepared glasses. 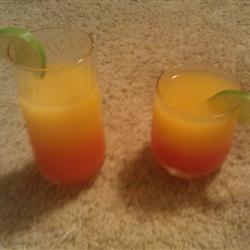 Combine regular rum, rum with coconut flavoring, grenadine, orange juice, pineapple juice and crushed ice in a blender. Blend until slushy. **For a fun mocktail for our pregnant mommas or a drink for the kids, just leave out the alcohol! Many sangria recipes sometimes call for brandy or other liqueur in them, but for a lighter more refreshing beverage, these ingredients are perfect. 1. Dice the pineapple, peel the nectarines and the mango and dice them too. 2. Save a few slices of pineapple for garnish. 3. 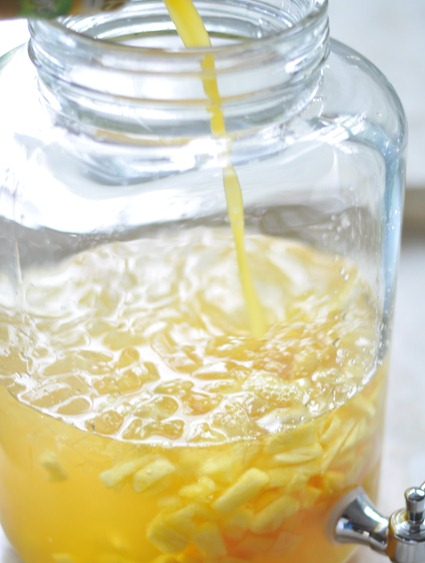 Pour the chilled wine and peach nectar over a few scoops of crushed ice in a large pitcher. 4. Add the diced fruit. Makes enough for 10-12 glasses. Garnish with pineapple wedges and serve immediately. What is your "go to" drink for the summer? Yum! These look delicious. Makes me want to leave and go sit outside on my porch with a nice drink. Sangria is usually my go to so I'll have to try these recipes!